The Estates is a small enclave of luxury homes situated on a barrier island between the the Intracoastal Waterway and the Atlantic Ocean off A1A in Boca Raton, Florida. 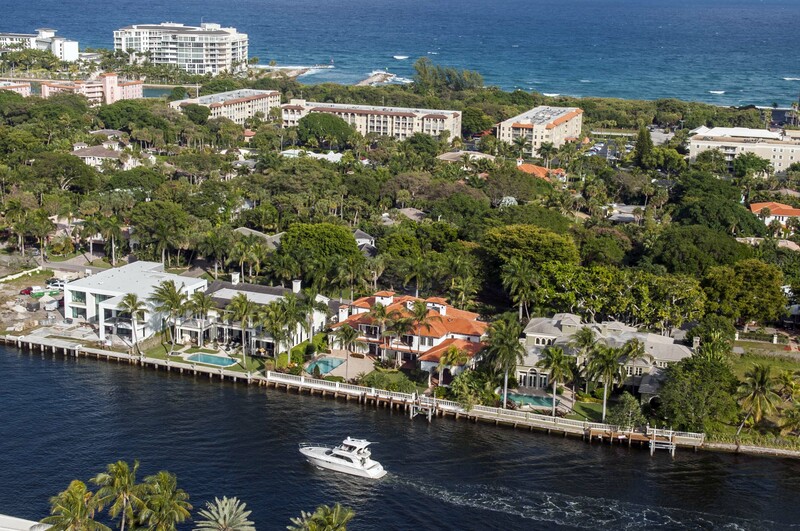 The Estates is one of Boca Raton's established waterfront communities in a prime location. Many homes have been reconstructed or remodeled to reflect today's styles and tastes. What remains the same is the ideal location and the panoramic views. Luxury homes in The Estates offer fast ocean access with no fixed bridges. Leave from your private dock and travel through Boca Inlet to open water or cruise Lake Boca Raton within minutes. Many homes in The Estates feature boat lifts that can accommodate a large yacht. Homes in The Estates range in size from 2,000 square feet to just under 9,000 square feet. There are also building opportunities available on occasion. For a private tour of The Estates or to see any luxury residence in Boca Raton, contact us at Mizner Grande Realty. We specialize in all of Boca Raton's finest communities.